The Sands was the first modern motel in Rogers. It opened in September 1961. 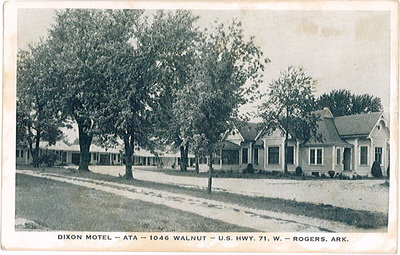 Rogers was founded in 1881 and immediately hotels sprang up, usually close to the train depot. 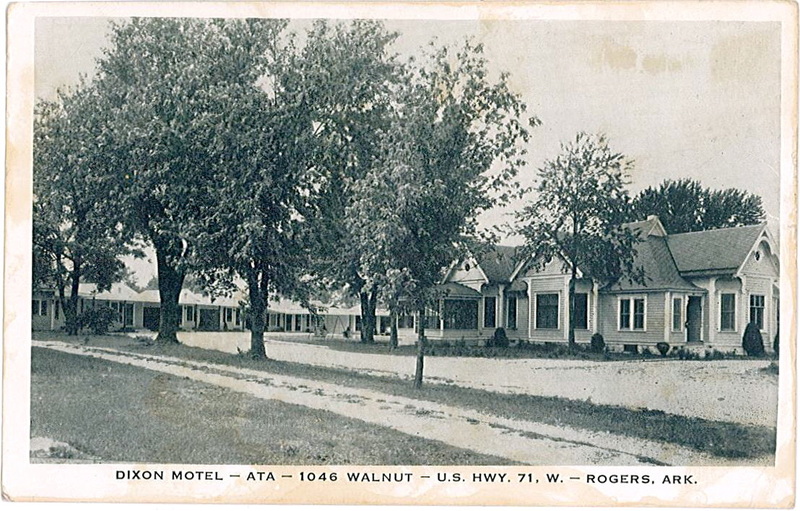 These multi-story hotels provided lodging for weary travelers until the arrival and love affair with the automobile began in the 1920s. The downtown hotels provided little parking, were hard to access and sometimes expensive. Automobiles made travel easy and popular and travelers wanted a convenient and inexpensive place to rest. New accommodations sprang up along the roadsides across the country. Unlike the downtown hotels, tourist courts and motor inns appeared that were automobile friendly. 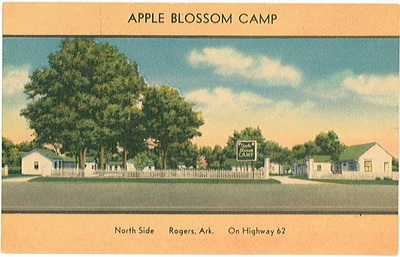 These “mom and pop” businesses usually consisted of cabins in a “U” shape with one shared bathroom facility and parking in front of each unit. 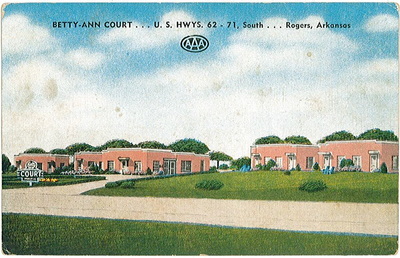 ● Rogers Motel, 14 modern cabins, Mr. & Mrs Robert Q. Steffey, owners (1949), Mr. and Mrs.
One of the most interesting courts in Rogers and the whole USA was the Tepee Town Courts south of town on the west side of Hwy 71 across from the former Ichiban Sports complex. 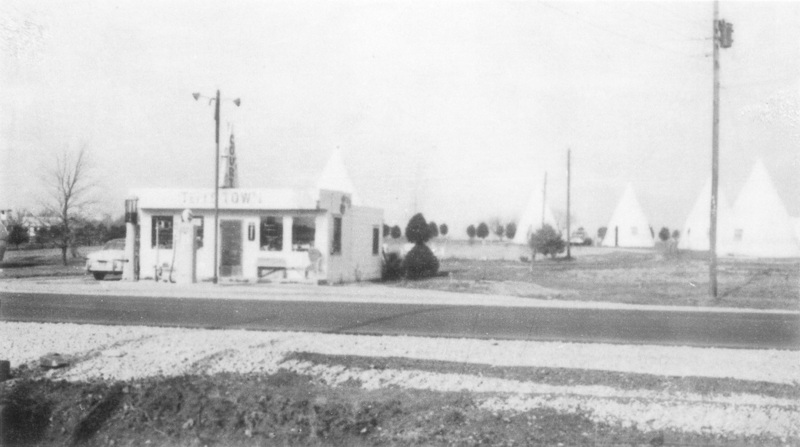 According to Donald Creekmore, his father David, built the Tepee Courts in 1949 and it consisted of six tepee tents and one bathroom tepee. The single units rented for $7.50 and the double units for $9.00. The Tepee Courts closed in the mid-1960s. 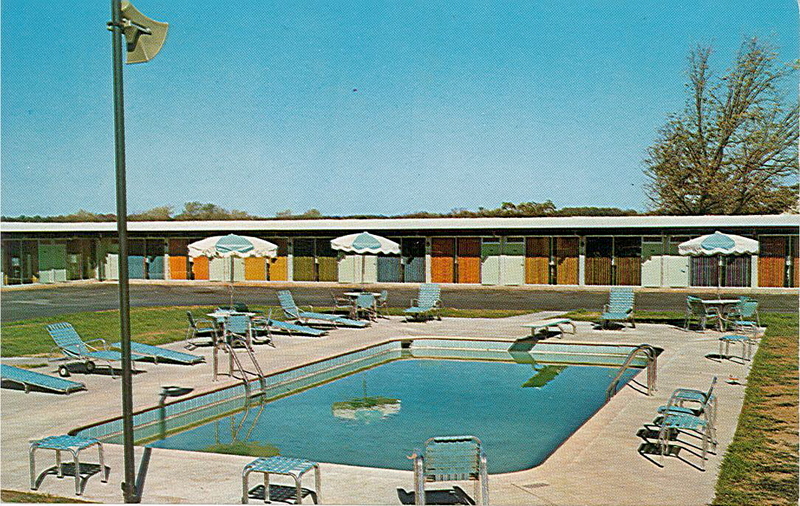 The 1960s spawned a new generation of motels sporting private baths, swimming pools and other luxuries. Many of these were national chains that were consistent in shape and quality. These modern motels ended the era of the “mom and pop” businesses, most of which closed in Rogers and across the nation. 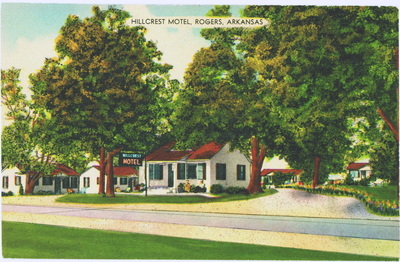 The first modern motel in Rogers was the Sands that opened in September 1961 at 208 S. 8th. It featured 24 units with AC, swimming pool, TV, and restaurant. 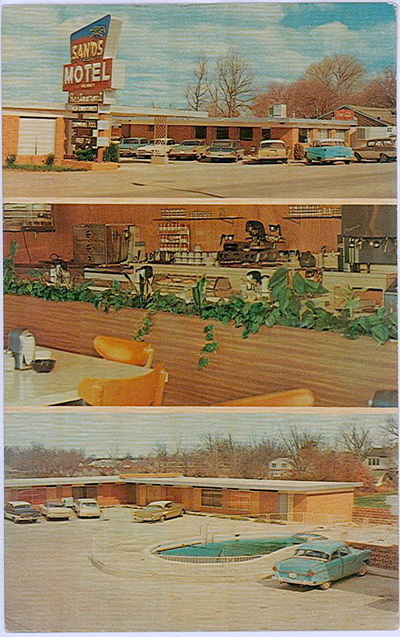 Managers included Mr. & Mrs. Forrest Calvin, Dan Kaffka, Gene Parrish, and Jimmie & Lucille Bronson. The motel was demolished earlier this year for the new Walmart Neighborhood Market. 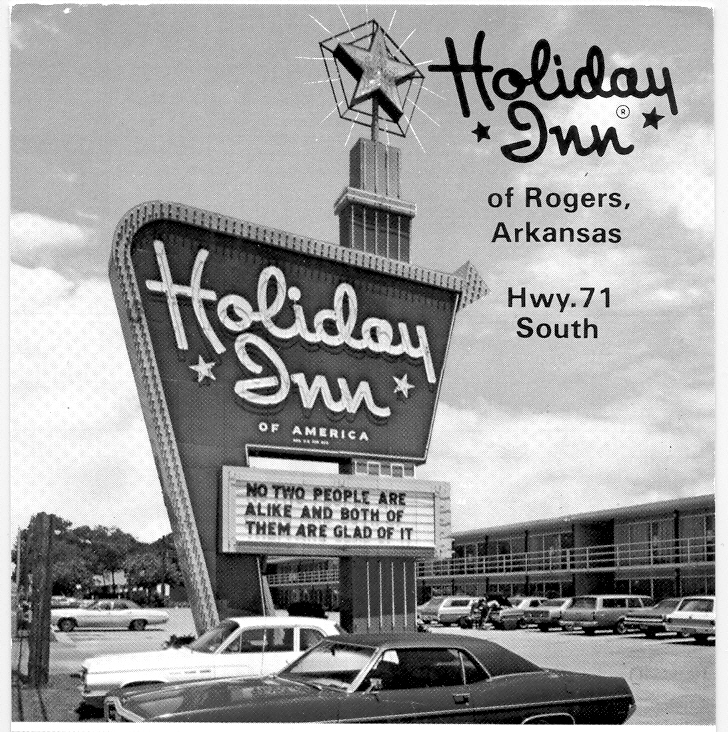 Ulis Rose and Don Hawksley opened the 30-unit Town and Country Motor Lodge on September 1, 1963 on Hwy 71S. across from Daisy Manufacturing. 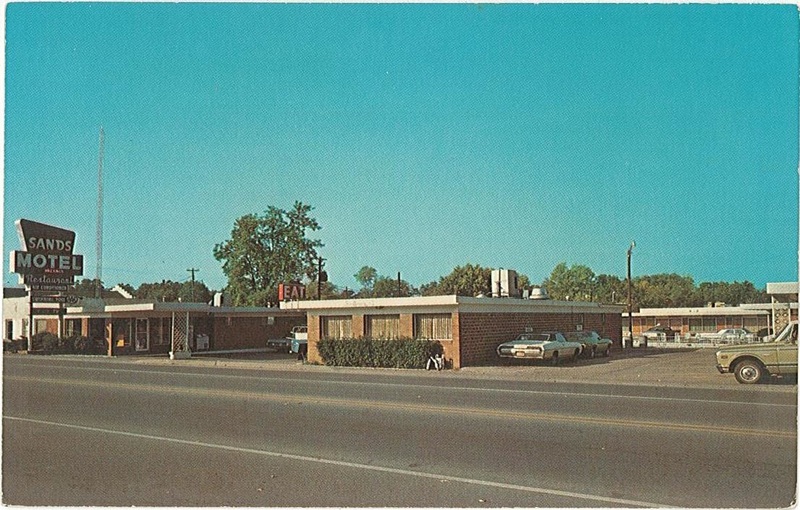 The next modern motel was the Jan-Lin Motor Inn with 32 units opened by Bill and Dee Nelson March 22, 1964 at the SE corner of 8th and Olrich. This building is still there today. 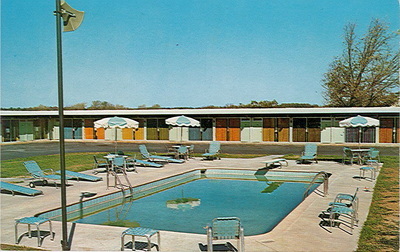 Modern roadside motels have improved somewhat over the past 55 years but are essentially the same as when they originated in the 1960s. The main difference is that they are larger and reservations are made on the internet instead of the telephone. 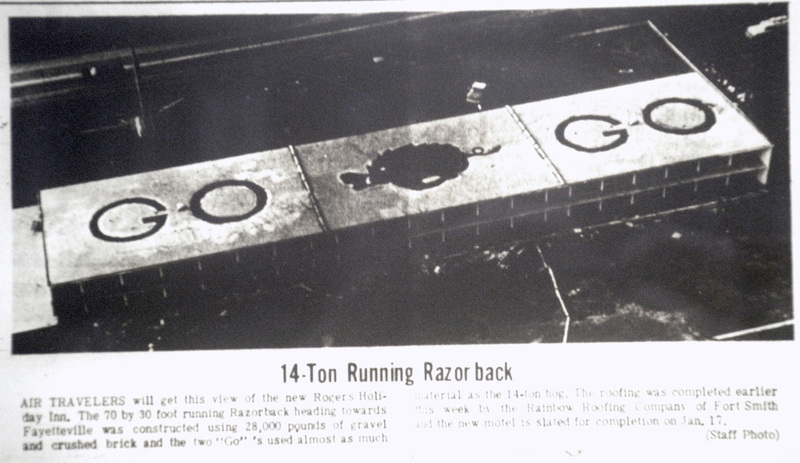 Unless noted, the photo gallery pictures are courtesy of the Rogers Historical Museum. 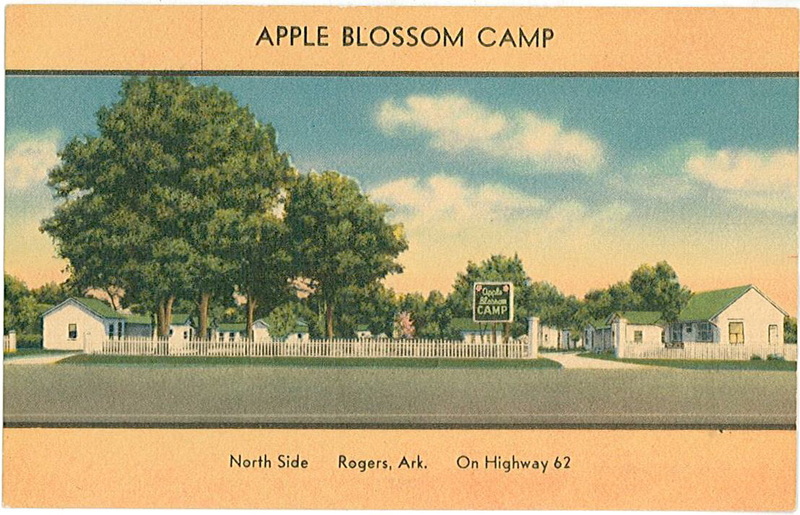 If you love Rogers and Northwest Arkansas, join the Friends of the Rogers Historical Museum and help us preserve our pictures, stories, and memories for our children and future generation. Click Here.